Dry, sandy scrub habitats of the Floridapeninsula represent naturally fragmentedremnants of xeric ecosystems that werewidespread during the Pliocene and earlyPleistocene. This habitat is characterized byhigh endemism, and distribution of genetic andevolutionary diversity among scrub ``islands'' isof compelling interest because Florida scrub israpidly disappearing under human development. We compare range-wide diversity inmitochondrial cytochrome b sequences forthree scrub-associated lizards with contrastinglevels of habitat specificity. All speciesshow strong geographic partitioning of geneticdiversity, supporting the hypothesis that scrubfauna is highly restricted by vicariantseparations. The mole skink (Eumecesegregius), the least habitat specific, has thelowest phylogeographic structure among thelizards (Φst = 0.631). The mtDNAgeneology for E. egregius is not entirelyconcordant with the five recognized subspeciesand supports a link between populations incentral Florida (E. e. lividus) and theFlorida Keys (E.e. egregius) rather thana previously proposed affiliation betweennorthern and southern populations. The Floridascrub lizard (Sceloporus woodi) is themost habitat specific of the lizards and hasthe strongest phylogeographic structure (Φst = 0.876). The sand skink (Neosepsreynoldsi) falls between the moleskink and scrub lizard in terms of habitatspecificity and phylogeographic structure (Φst = 0.667). For all three species,networks of mtDNA haplotypes coalesce on twocentral ridges that contain the oldest scrub. 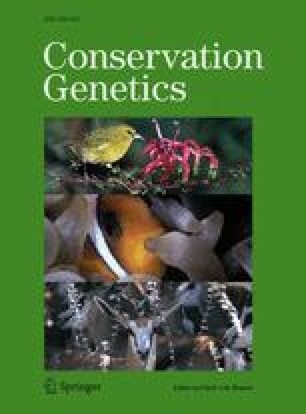 The geographic structure and deep evolutionarylineages observed in these species have strongimplications for conservation, includingstrategies for translocation, reserve design,and management of landscape connectivity.